Rainy Day Green Hours Need Rainy Day Gear! What do you get after 2 solid days of torrential rains and frosty wind gusts? 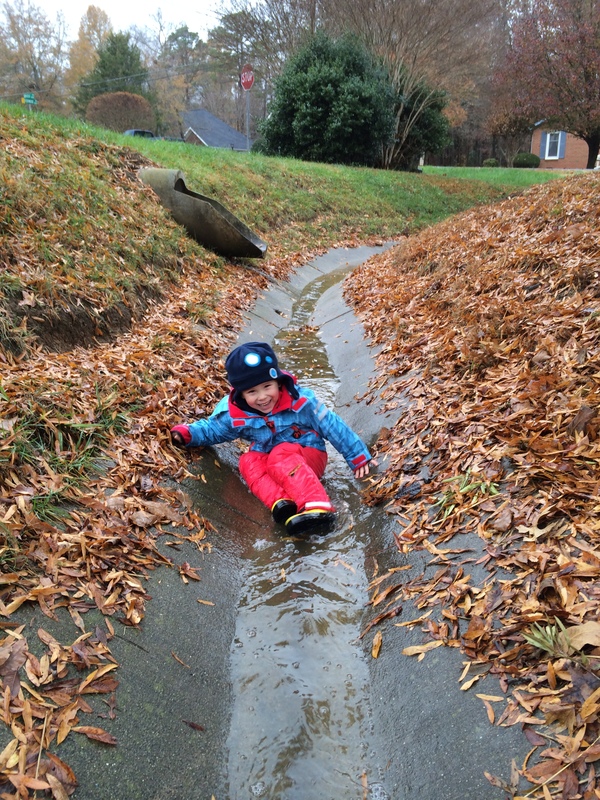 A stir-crazy toddler and mama-to-be with a horrible case of cabin fever! 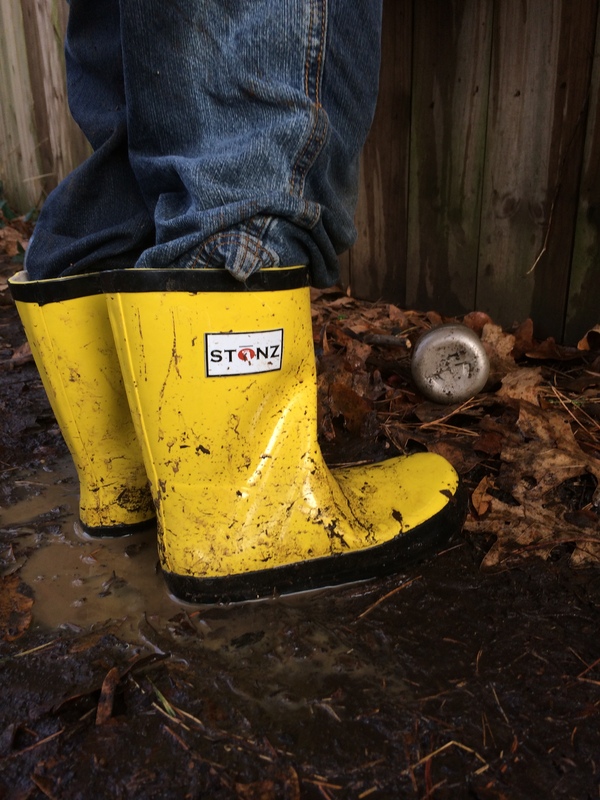 I sure am thankful for companies like STONZ and Ducksday that believe in providing top quality outerwear for kids, otherwise C would have been a cold, wet mess once the storms died down to a steady drizzle and we ventured out! All decked out, ready for big water! Our relationship with this company first came about last year when we discovered their rainsuit/fleece layering system. (A thorough review on that can be found here.) Now they’ve added some insulated options to their all-weather fighting arsenal, and we think the results are outstanding! 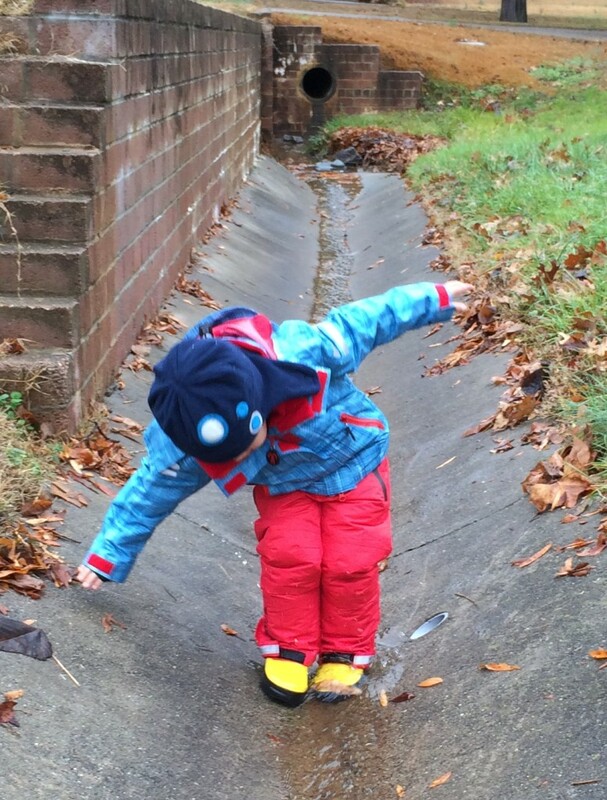 Our family is psyched to represent STONZ this winter, and one of the perks is that C gets to try out the entire STONZ line of kid’s outerwear this season! 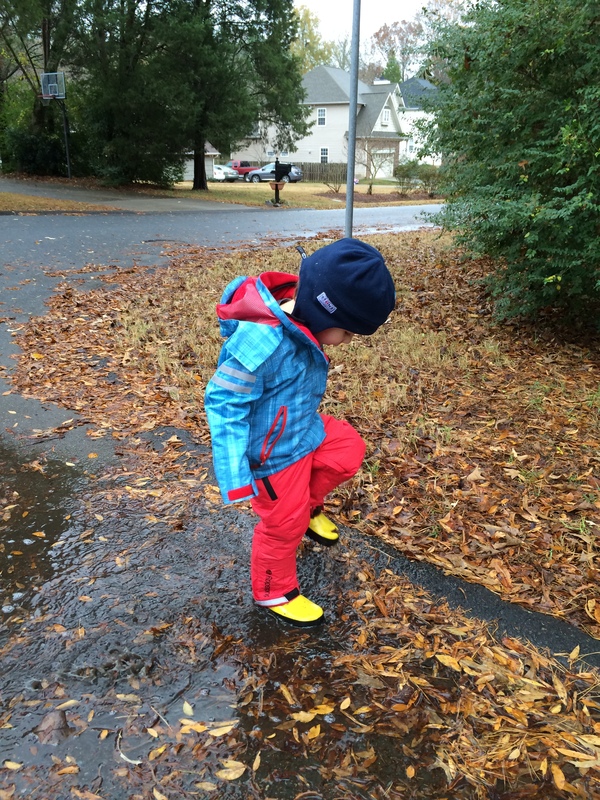 I already sung the praises of their hats hatz in the gift guide I posted a few weeks ago, and their booties in last week’s post about Firepit Fridays, and now it’s time to boast about our favorite offering from this company thus far – Rain Bootz! 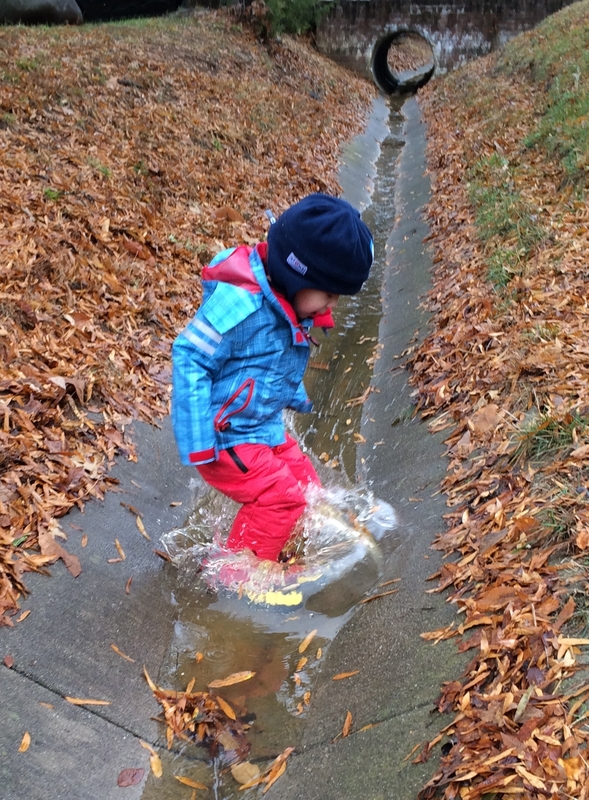 The test: After over an hour of splashing, stomping, and general merry-making in what most would consider less than ideal weather for playing outside, it was time to de-layer and have a lunch break. 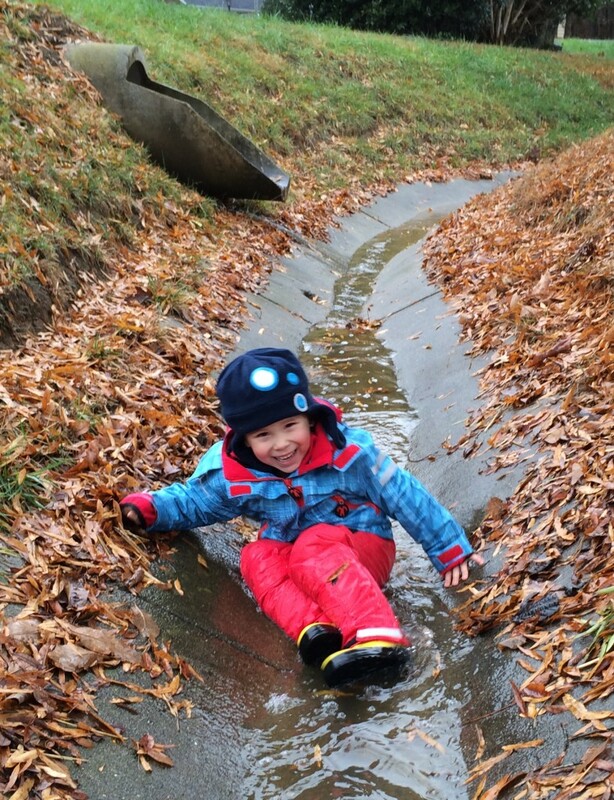 C was all smiles when we took the boots off and his little tootsies were warm and dry! (And I was all smiles when the bootz rinsed clean of all that mud after a quick spray down!) Though we obviously haven’t tried them out in the white stuff yet, I’m predicting that the addition of the liners would make these boots a very reasonable option during the snow (especially for us Southeasterners that only get to enjoy it a few times a year at most!). 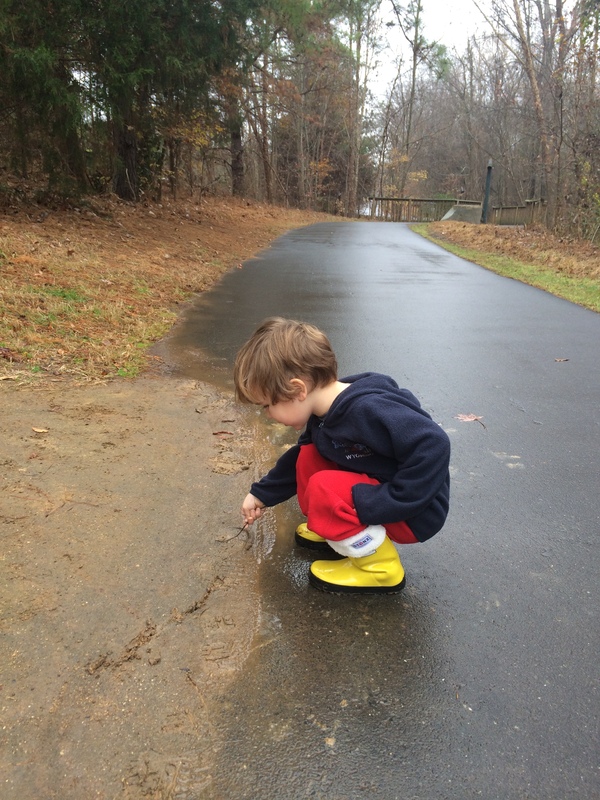 The ability to use these boots all year in all types of weather makes them an excellent value that I’d highly recommend for any kiddo who likes getting outside when most grown-ups don’t! 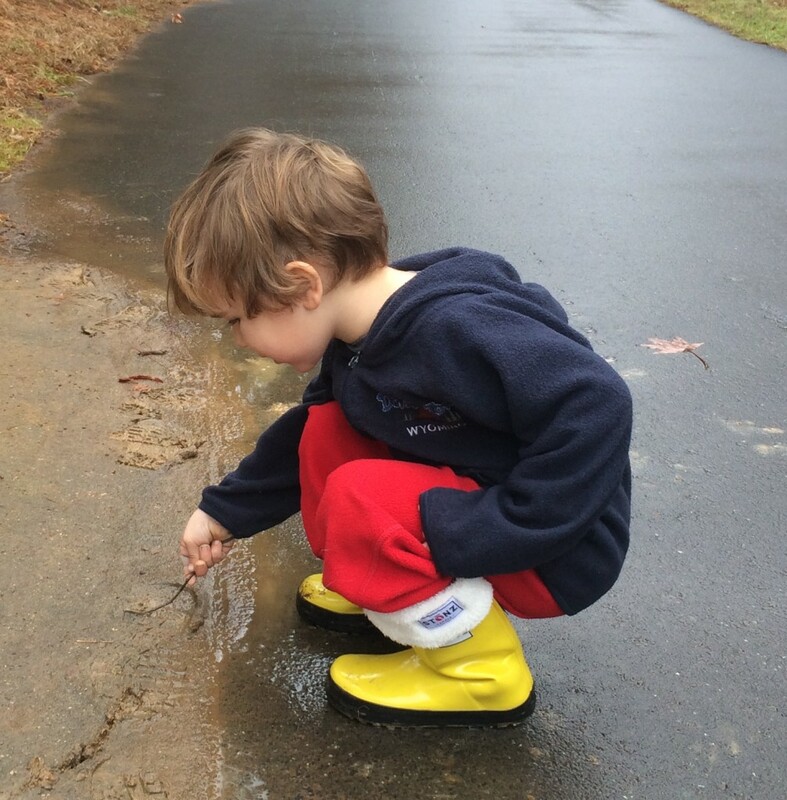 What’s your family’s stance on rainy weather? Get out and enjoy it, or hibernate inside til the sun peeks out again? 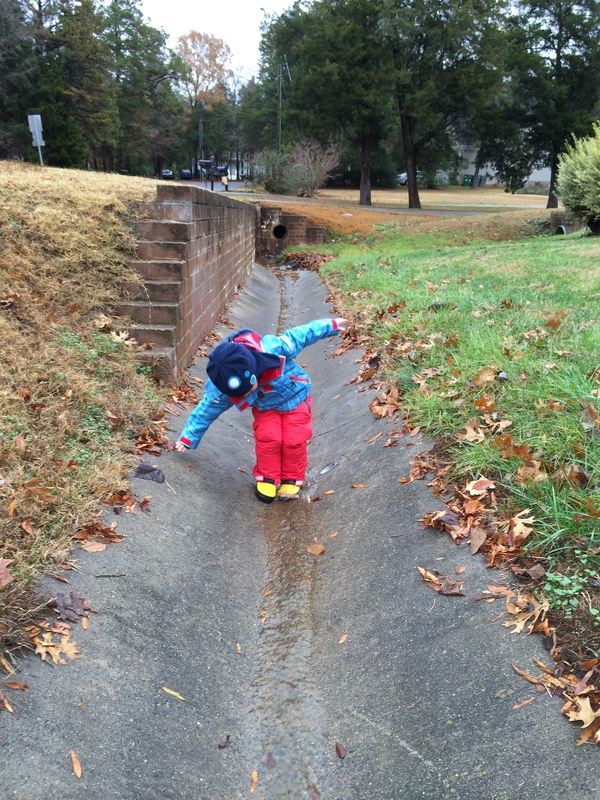 What strategies/gear do you use for keeping your kiddos warm and dry during cold and wet weather?